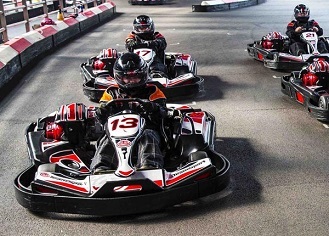 Alvar Karting is one of the most challenging indoor tracks in the country and was one of the first circuits in the UK to have a tarmac surface, which offers high levels of grip. It has an 80 metre long straight and a raised spectator area that overlooks the entire venue as well as a laser-tag arena that is ideal for enhancing stag and hen party events. An adult-only event: Five minutes practice, 20-laps qualifying plus a 30-lap final. 15-minutes qualifying to determine your grid position then a non-stop 60-minute team relay race. The venue has 5 specific cadet/junior karts.